GLENDORA >> Police arrested one suspect and sought two more after they burglarized a Glendora sushi restaurant early Saturday, then led police on a pursuit that ended in Compton, officials said. A burglary alarm triggered about 4:30 a.m. first drew police to the restaurant in the 1800 block of East Route 66, according to Glendora police Lt. Rob Lamborghini. “Officers responded and immediately confirmed that a burglary had occurred,” he said. Burglars had broken into the business through the back door and stolen cash, but fled before police arrived. An officer searching the area spotted a suspicious car getting onto the 210 Freeway near Lone Hill Avenue and tried to pull it over, the lieutenant said. The car accelerated away, kicking off a high-speed chase on the 210, 605 and 105 freeways. Suspects inside the car were seen tossing unknown items from the vehicle during the pursuit. The car exited the 105 Freeway in Compton and came to a stop, Lamborghini said. Two suspects ran from the car and were not found. The driver, 33-year-old Erika Anette Washington of Redlands, was taken into custody, according to police and Los Angeles County booking records. She was booked on suspicion of burglary and evading police. The money believed to have been stolen from the sushi restaurant was not found. According to county booking records, Washington was being held in lieu of $20,000 bail pending her arraignment hearing, scheduled Monday in the West Covina branch of Los Angeles County Superior Court. NORWALK >> An argument between a man and his girlfriend escalated into a shooting late Saturday when the man fired at the woman’s car, striking the vehicle but missing her, officials said. Jacquise Oshay Hooper, 22, of Compton was ultimately arrested on suspicion of assault with a deadly weapon in connection with the shooting, which occurred just before 8 p.m. at a condominium complex in the 12000 block of Quail Lane, Los Angeles County sheriff’s Lt. Eric Smitson said. Hooper showed up to see his ex-girlfriend and became involved in an argument, the lieutenant said. As the woman tried to get into her car, Hooper fired twice with a handgun, he said. The car was struck, but the woman escaped injury, Smitson said. Deputies found and arrested Hooper nearby, he said. A gun was found discarded in the area. According to booking records, Hooper was being held in lieu of $50,000 bail pending his arraignment hearing, scheduled Tuesday in the Bellflower branch of Los Angeles County Superior Court. COMPTON >> Sheriff’s officials announced they have arrested the mother of a newborn infant found abandoned and buried alive along a Compton bike path last month. The baby girl was believed to be no more than two days old when she was discovered buried in a crevice and covered with asphalt and other debris about 4 p.m. Nov. 27 alongside a bike path lining a riverbed near 136th Street and Slater Avenue, sheriff’s officials said at the time. Deputy Adam Collette found the baby after responding to reports of a baby’s cries being heard in the area, according to Sgt. Marvin Jaramilla of the sheriff’s Special Victims Bureau. She was hospitalized in stable condition. Investigators began working to track down the baby’s parents. “As a result of the multiple leads generated due to the public’s and media’s assistance in this case, Special Victims Bureau’s detectives were able to identify and arrest the mother of the baby who was buried in the City of Compton,” Sgt. Bob Boese of the Sheriff’s Information Bureau said. Sheriff’s officials thanked the public for their role in helping deputies track down the infant’s mother. Details of the arrest are to be released at a news conference in Los Angeles Monday morning. The mother’s identity was not released Sunday, nor were the charges she is expected to face. 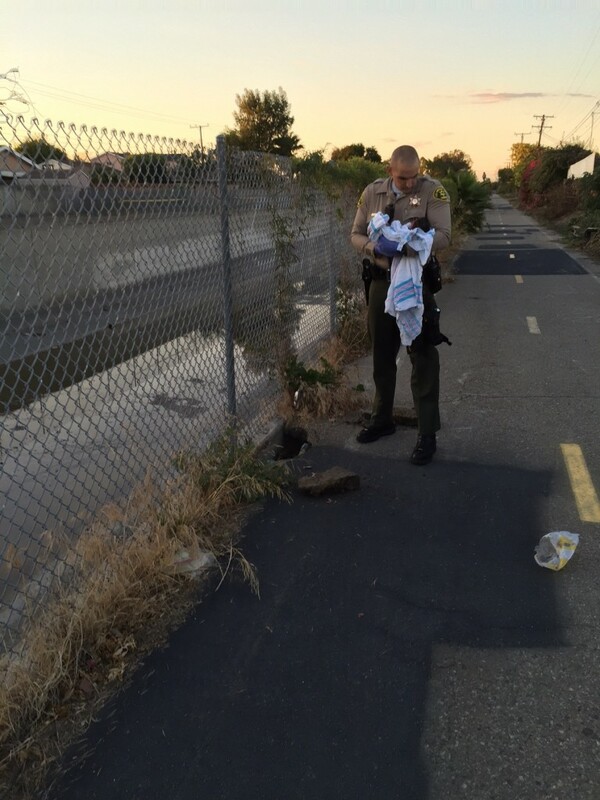 COMPTON >> The muffled cries of a newborn baby girl led deputies to discover the infant buried alive beneath asphalt and other debris along a Compton bike path Friday afternoon, authorities said. The infant was believed to be 36 to 48 hours old when she was discovered about 4 p.m., buried under debris in a crevice alongside a bike path lining a riverbed near 136th Street and Slater Avenue, Los Angeles County sheriff’s officials said in a written statement. She was ultimately hospitalized in stable condition. 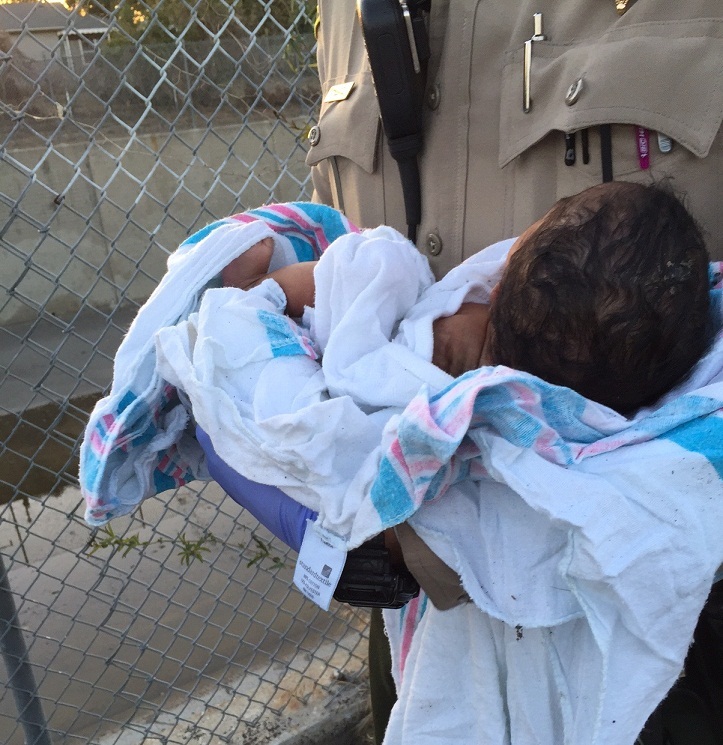 Deputies received reports of a baby’s cries being heard emanating from the riverbed, according to Sgt. Marvin Jaramilla of the sheriff’s Special Victims Bureau. The girl was wrapped in a blanket and cold to the touch, he said. After being treated by Compton Fire Department paramedics, she was taken to a hospital where she remained under observation Saturday. Detectives ask anyone with information regarding the abandonment to contact the Special Victims Bureau at 877-710-5273. Tips may also be submitted anonymously to L.A. Regional Crime Stoppers at 80222-8477. Authorities reminded the public of the county’s “Safe Surrender” program, under which newborn babies showing no signs of abuse may be dropped off at hospitals and fire stations with no questions asked within 72 hours of birth. For more information, visit www.babysafela.org. PHOTOS courtesy of the Los Angeles County Sheriff’s Department. COMPTON >> A pilot died when a small airplane crashed Sunday afternoon at Compton-Woodley Airport, authorities said. The fatal crash took place about 12:35 p.m. at the airport, 901 W. Alondra Blvd., Federal Aviation Administration spokesman Ian Gregor said. Los Angeles County sheriff’s officials confirmed the pilot died in the crash. “A banner-towing aircraft crashed while picking up a banner at the Compton airport,” Gregor said. The pilot was the only person on board the craft, described as single-engine Aviat A-1, he added. There were no initial reports of any other injuries, sheriff’s officials said. Compton Fire Department firefighters responded to the crash, Deputy Juanita Navarro-Suarez of the Sheriff’s Information Bureau said. Deputies secured the scene and summoned officials from the FAA and National Transportation Safety Board to handle the investigation. Images from the scene showed the airplane engulfed in flames. The plane was registered to Cheyenne, Wyoming-based Wyoming Services LLC, according to F.A.A. records. It was manufactured in 1995 and had a valid flight status.